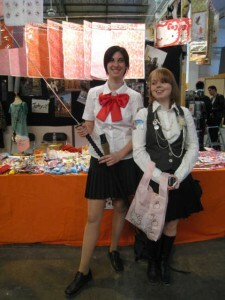 Chibi Japan Expo took place from 20th to 22nd Feb for the first time in Marseille. Though the number of visitors are relatively small in Friday the first day, in Saturday and Sunday we had more visitors than expected. In total we had about 30 thousand visitors (quick estimation). In these circumstances our booth TOKYO KAWAII SHOP enjoyed high popularity. One of the reason may be its name, straightforward and easily acceptable for French. On the wall were Tokyo street snaps by Rei Shito, and on the shelves are many variety and fashion goods borrowed from many cooperation businesses. The BGM was X-JAPAN. The kind of articles that are actually sold in Sibuya or Harajuku always attracted many people. Staffs were even asked to stand together for visitor’s pictures, and were asked the e-mail address. So fervent was the popularity of Japan. There were many booths presented by Japanese living there and by Chinese and Koreans but it was only us, who come direct from Japan. That’s why the attention of visitors were focused on us. This time we made presentation in Chibi Japan Expo with plural purposes. – To collect personal information such as email addresses etc. We intended to try ourselves to know real conditions. The confirmation of effective connection with SEFA was the most valuable fruit among others. The president of SEFA permitted us use the title “Partner of SEFA in Japan”. But there are many points to think over, too. We have to get over several hurdles to make business out of the fever of COOL JAPAN. French TVA (Tax on the added value) is as high as 19.6%. In addition you have to take into consideration European Safety Standard called CE (Conformite Europeenne). Its application to toys, home appliances and medical instruments are compulsory, and production and sales of these articles without CF-mark are prohibited. The related judgments are up to French authorities. recognized as a toy, when it is designed KAWAII-like, and CE mark is required. In the case of breach its importer is punished, so often importers are not willing to be agents. An event like Expo is exceptional, but in a long term business you can’t sell everything you like, – that is what I learned this time. Our greatest harvest is that we could get consumers’ information. We could assess what is marketable and what is not – what is customers’ preference. In total the web will be a big forth. 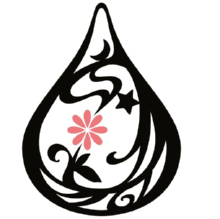 Now we are talking about our plan – on the basis of our collected email addresses, we will launch a membership based web shop (to purchase on behalf of them) of Japanese articles for French customers. If we do what everybody can do, we will be imitated. We need to build up our own knowhow strenuously..
As the TGV run faster, my resolution to make our business successful is getting stronger.